I witnessed a special moment in the evolution of the helicopter emergency medical services (HEMS) industry recently. This occurred during a safety stand down and group meeting/training session involving several aircraft and crews affiliated with a major HEMS provider. The stand down was precipitated by three HEMS mishaps in a recent period, two of which were experienced by the company in question. In two of the three crashes, people were killed, in the third the aircraft suffered significant damage after suffering engine failure and landing hard – there were injuries. This meeting offered a rare chance to have so many people involved in HEMS in one room, from the newest clinicians and pilots to the guys calling the shots from the head shed. HEMS has changed much in the 13 years I have been around it. When I started flying sick people to hospitals in 1999, most EMS helicopters were operated by a few vendor companies, who employed pilots and mechanics working at a hospital. The clinical staff; nurses, paramedics, respiratory specialists, and on some aircraft – physicians, were affiliated with or employed by the hospital. Then a couple of events happened that changed the industry into what it looks like today. First, Health Care Finance Administration (HCFA) reforms went into effect increasing the government payment for HEMS patient transports. Private insurance company payments are influenced by what the government reimburses along the lines of a rising tide lifting all boats. 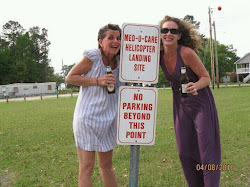 Second, and with inexplicable timing, hospitals began to opt out of paying for a helicopter to bring people in. This may be related to the drying up of funds for trauma care. Perhaps hospitals wanted to reduce the size of their catchment area for indigent, uninsured, or underinsured patients. When the vendors were faced with the prospect of losing contracts, they created a new operating model, the community-based HEMS operation. The vendors hired the clinical staff away from the hospitals, and set up shop out in the areas surrounding the big cities. Where-as the checks previously came from the hospitals, and to a large extent were guaranteed regardless of whether or not any patients were transported, under the new operating model, the vendors turned into health-care companies and billed for services rendered themselves. This turned out to be extremely lucrative, and all this easy money drew participants into the marketplace. There are still hospital-based and funded flight programs, but the numbers are dwindling as more health care executives grasp the reality of the situation – they control the hospital, and patients have to go there. In practice, the receiving facility determines how the patient will arrive notwithstanding the EMTALA stipulation that the referring or “sending” physician makes this determination. Within the limits of the law, a hospital might even receive a subsidy for facilities. This funnels the money for inter-facility (hospital to hospital) transports to whatever helicopter operator the hospital has a relationship with – as many wise people have stated, it really is all about the relationship. The goal for helicopter companies today is to be “that” helicopter. 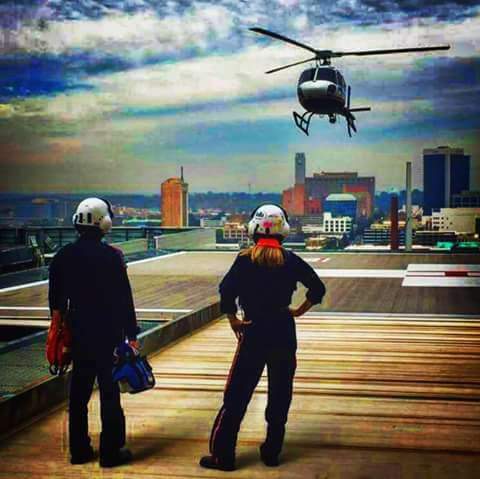 With a hospital relationship established, a HEMS company is in a stronger position to market the other types of service provided; accident-scene response flights and specialty care services such as Intra-Aortic Balloon Pump transports and Pediatric or NeoNate team trips. While the two models described, hospital based and community based HEMS are not the only models in existence -hybrid and consortium are two other examples - they constitute the lion’s share of HEMS services today. In the new paradigm, helicopter companies seek first to fly as many patients as possible. The number of uninsured and non-paying patients does affect profitability, and some areas of the country are less lucrative than others, but rarely does payer-mix come into the discussion. Under the old way of doing business, with a check coming from a hospital every month, the imperative was to minimize risk. The best way to minimize the risks of flight are to remain on the ground. Interaction between HEMS and the marketplace used to consist of utilization reviews (did this patient actually need to be flown?) and safety-related training on helicopter operations; often conducted by the flight crews themselves. Times have changed. 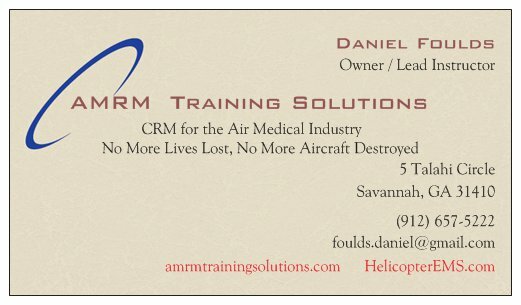 In the effort to increase demand for service, fly more people, and generate more revenue; a new category of HEMS professional has been created. The Business Development Manager (BDM) is now the point of contact between the company and the customers. He or she typically has a medical or business background, and is for all purposes a salesman. Whereas the objective was previously to fly patients who actually needed the level of care and speed of transport afforded by HEMS, today the BDM will ask the customer to fly anyone and everyone. HEMS and the healthcare industry have their dirty little secrets just like any other endeavor. The BDMs are very aggressive in their efforts to increase the demand for HEMS flights, and to improve the service whenever and wherever possible. 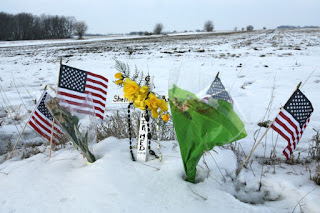 They are out there hearing the comments from the hospitals and EMS first responders in the field. One common complaint is that “it takes too long for the helicopter to arrive.” So we try to reduce this time by asking everyone to be ready to go on a moment’s notice, and to move as quickly as possible once alerted. This is fine, to a point. One bone of contention is the lift-off time limit. Most operators expect the crew to move to the aircraft and depart within ten minutes. In some cases the goal is eight, or even five minutes. Often this is implied rather than written, because past experience has taught that hurrying and helicopters don’t go well together. We have a rational business objective hard-up against a bit of conventional wisdom. So at this safety stand down, we get to the point in the proceedings where awards for performance are being handed out. The well-spoken, well-intentioned, and personable BDM announces an award for the base (there are several in the area) with the shortest average liftoff times for the past reporting period. At this point a voice from the back of the room booms “THAT IS A BAD IDEA!” Many of us present, mostly the pilots, understand his concern. Asking people to hurry – indeed incentivizing it – amounts to a moral hazard. Haste, coupled with lack of experience or too little attention to detail, has led to dozens of mishaps. Cowlings not latched, fuel caps not closed, shore-power cords not unplugged, baggage doors not closed, checklist items skipped; the list is long and the outcome is bad or fatal. Understanding the BDM’s objective, I proposed tracking the time it takes for the pilot and crew to arrive at the aircraft, noting the elapsed time between the acceptance of the flight and a “mission-ready” radio call. The decision was made to table that award and give it more thought, a smart move. Ironically, the same pilot who so assertively voiced his concern was subsequently recognized for having flown the most patients of any pilot in the room. It’s nice to see conventional wisdom still has a place at the table.